Take the 1 train heading towards Van Cortlandt Park – 242nd Street. Get off at 116th Street Columbia University. Upon exiting the station, walk south approximately 200 feet on the east side of Broadway to building 2920. Directions to the Columbia Campus by car can be found here. Recruiters: if you require a parking space, please email Natalie Unwin-Kuruneri at natalie@ei.columbia.edu to have one arranged. There are a number of hotels close to campus on Manhattan’s Upper West Side. 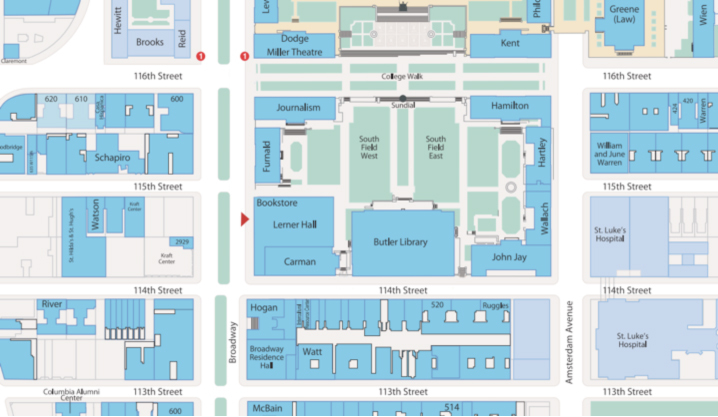 Columbia University has negotiated deals with several local options for campus visitors. Please visit the Travel Portal and click on Local NYC Hotels (the top left link) for more information on specific Columbia rates and instructions on how to make reservations at participating hotels.